I really do think the free Sale-A-Bration foil sheets are fantastic in both Lovely Lipstick and Grapefruit Grove, I can’t chose a favourite and I have stocked up on mulitple packs of this gorgeous foil. For this card I was inspired by the sample in Spring/Summer catalogue on page 47 which used the large doily from the Doily Builder Framelits to create a background. I wanted to use the foil so chose black for my die-cut layer to give the foil the biggest wow factor and boy does it shine, I love the colour changes of this card so so much. I didn’t want to add too much else to the card so used various circular dies to build up an area for the sentiment. For a final embellishment I added some of the Share What You Love pearls in Grapefruit Grove. If you haven’t picked up any of this gorgeous foil yet and you’re in Europe then place a £45.00 order now and you can have a pack for free! 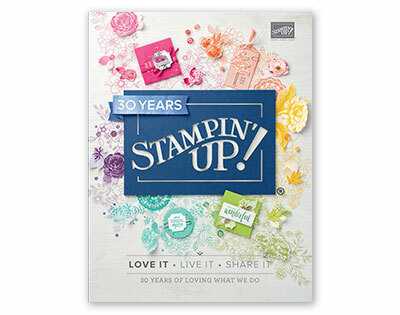 Yesterday it was my Aunt’s birthday and I thought the Lasting Lily stamp set would be the perfect choice to use for her card. 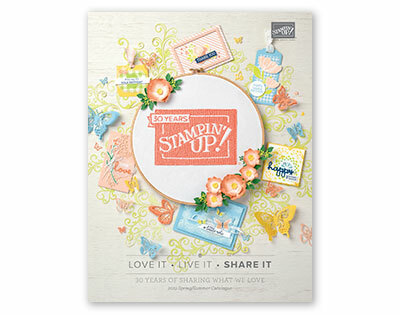 The Lasting Lily is one of this years Sale-A-Bration stamp sets which are free with a purchase of £45.00 or more until the end of this month. We also have a matching Framelits die set available while stocks last so you can easily cu cut out those lily’s and make some beautiful cards. I love how this card turnedout and I’d like to thank fellow demonstrator Patty Bennett for my inspiration with the colour scheme and the use of that adorable bow from the Wishing You Well stamp set, you can check out here Lasting Lily post here. Just hope my Auntie likes her birthday card as much as I do!